Storage Table View | assorted options you can trust! 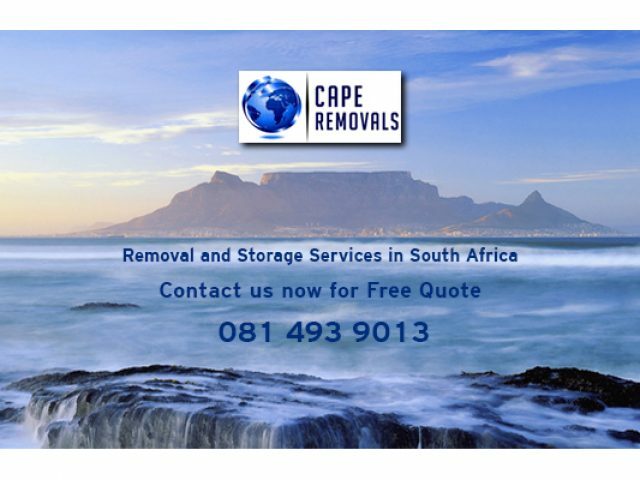 Cape Removals is your local moving company in the Cape Town area. Seeking effective solutions for removals or storage in Table View? Whether you want to put some items in storage, or whether you need to throw out some old or no longer useful items, you will more likely than not require the services of a removal company. There are several removal companies that offer moving services and storage in Table View and surrounds. Removal companies are useful for those who are relocating offices or moving house, or for those who need to have items taken away to storage. These companies make use of trucks and trailers that are specially equipped for moving large and/or valuable items. Because their trucks and trailers are specially equipped with blankets and straps for transporting items of this nature, clients can rest assured their valuables will be well taken care of. These companies work quickly and efficiently in order to move all items in the shortest possible time period. By doing this, the companies ensure that their clients will be caused minimal inconvenience whilst moving or relocating. The staff that are employed by removal companies are expertly trained in working quickly yet carefully so as to ensure no items will be damaged during the process of moving. To find a removal company, or a suitable option for storage in Table View, feel free to browse through the advertisements below.